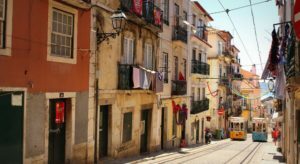 Looking for Top Places to See in Lisbon? You just found them! Lisbon serves as the capital of Portugal and is its largest city. You can come here anytime. The coldest month is January but the average temperature here is not less than 15°C anyway. Which is fine. And before you go, print this list of Top Places to see in Lisbon along with a map below so that you won’t miss any important sight. 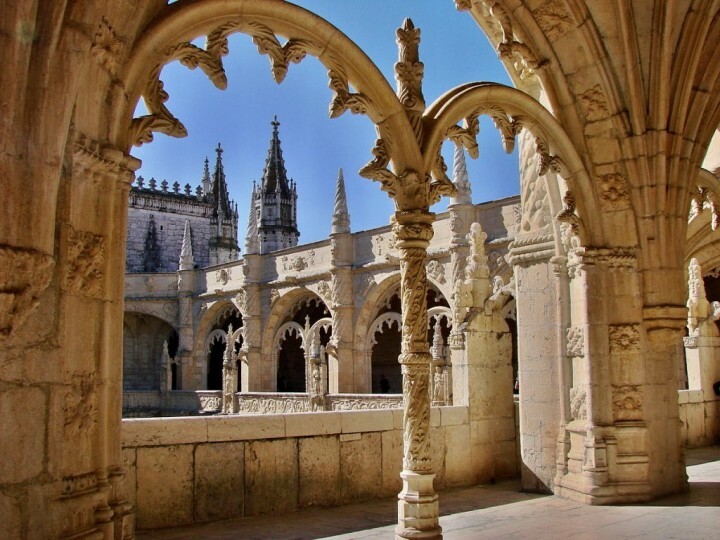 While you are in Lisbon, you cannot possibly miss a visit to the Jerónimos Monastery which serves as the final resting place of renowned explorer Vasco da Gama. It is also included in UNESCO World Heritage List. The elegant designs of the different parts of the monastery have gathered positive impressions from many visiting tourists. 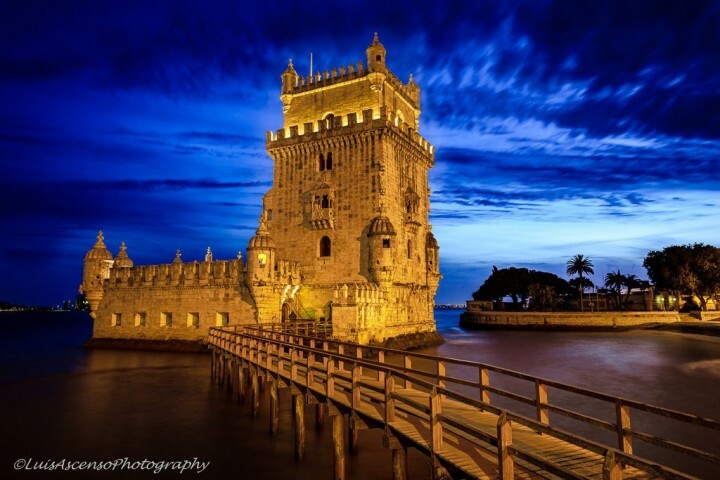 Another UNESCO World Heritage site to visit in Lisbon is the Belém Tower. According to many experts, this landmark in the city also signifies the dawn of the Age of Reason. This interesting tower was built in the early 16th century in the Portuguese late Gothic style, or even in the so-called Manueline style. At high tide it is becoming a fortified island linked to the mainland by a narrow bridge only. If you want to have a bird’s eye view of Lisbon, then you should go to the São Jorge Castle. This is a proof of the long battles experienced by the city. Inside of it is a small museum which homes various things that are related to the very existence of this castle and its walls. 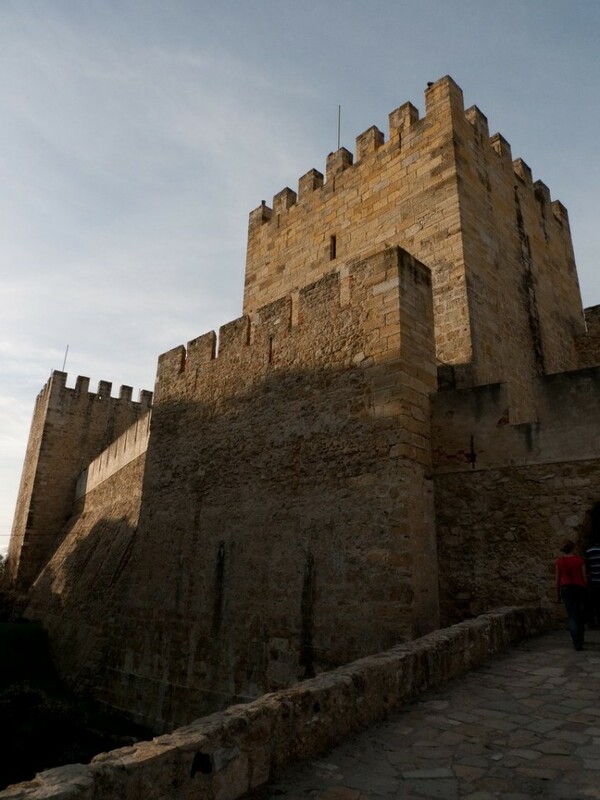 São Jorge Castle is the landmark that you simply have to start with. Santa Maria Maior de Lisboa also known as Sé Cathedral is the oldest and thus the most important cathedral in Lisbon. It looks like the light version of the famous Notre Dame Cathedral in Paris. However, the inside is even grander and more beautiful. 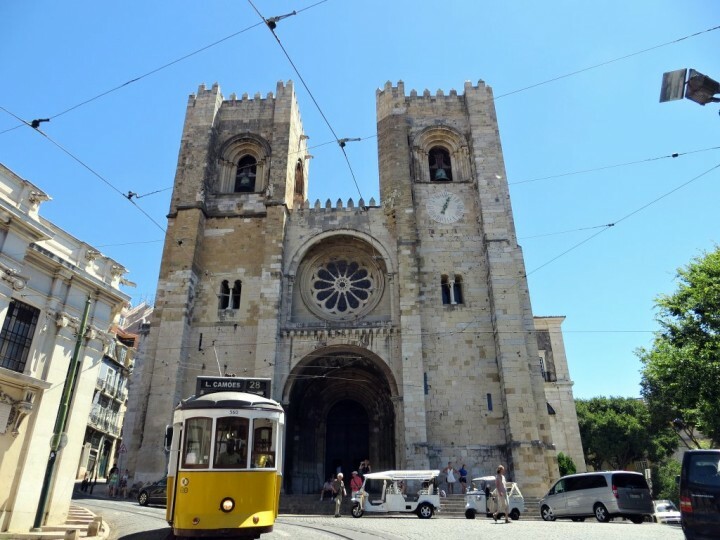 It is built in several architectural styles due to few massive earthquakes that were in Lisbon after which the cathedral had to be rebuilt and reconstructed. 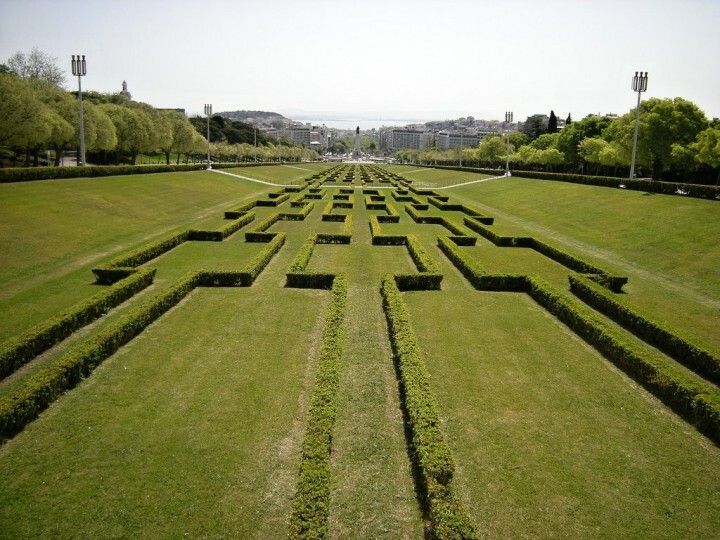 Parque das Nações is a district in Lisbon that deviates from the old nature of neighborhoods in the city. This is actually a district that is full of things that are produced in the 21st century. 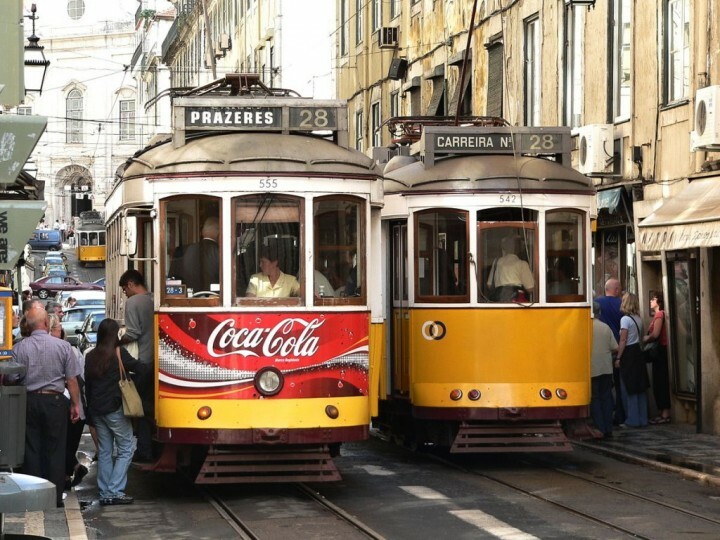 It seems to be a place where modern technologies flock over Lisbon. You can find volcano fountains, waterfalls, shopping malls here as well as Oceanarium. Oceanarium is not the only largest attraction that Lisbon has to offer. 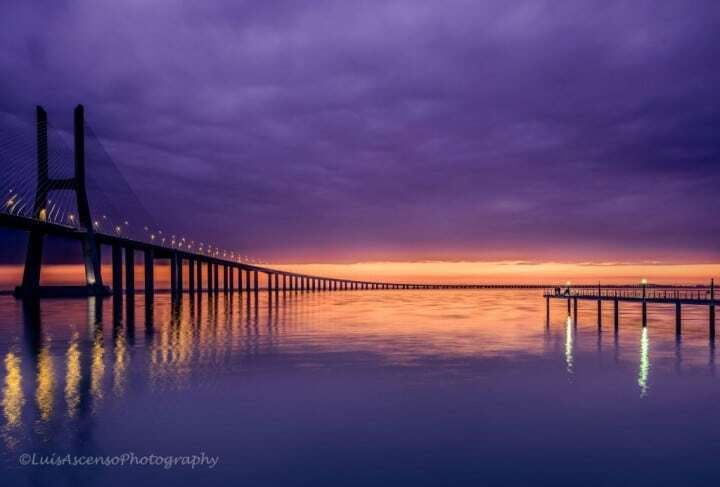 Here you can also find the longest bridge in Europe – Vasco da Gama Bridge. You can enjoy the view of the city and the bridge from seaside promenade, either on bike, roller blades or on foot. If you liked never-ending Vasco da Gama Bridge, you will also like another bridge that will take you far away – to San Francisco in the US. 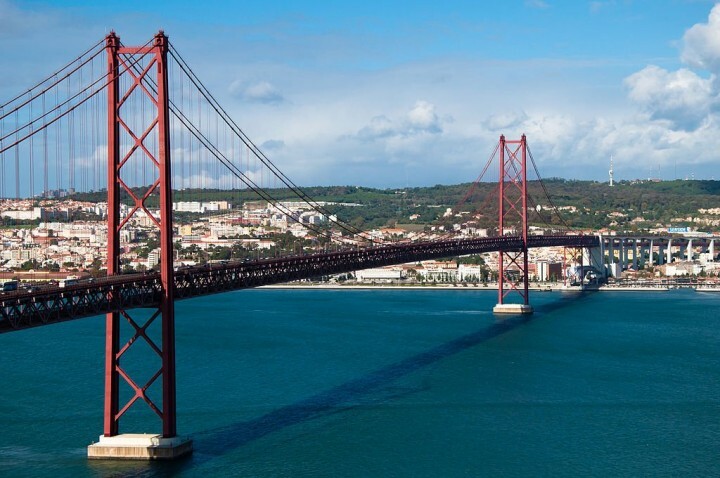 European Golden Gate Bridge is here known as The 25th of April Bridge (Ponte 25 de Abril) or simply Lisbon Bridge and was completed in 1966. 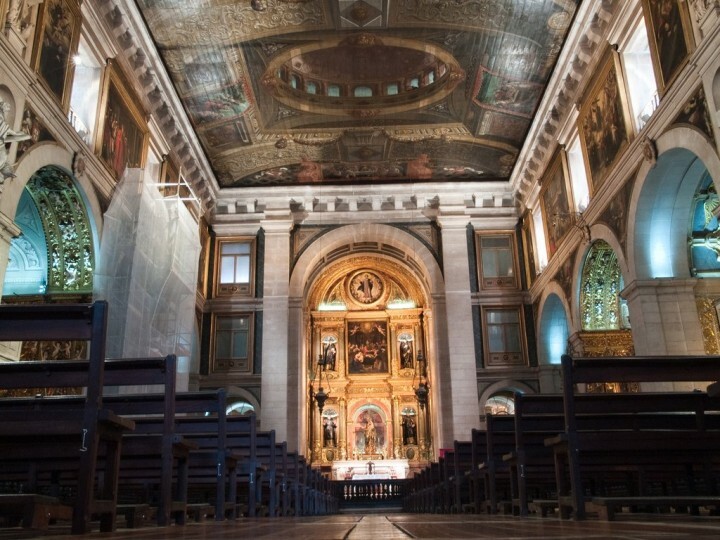 This Chapel of St. John the Baptist in Lisbon is truly a proof of what can gold really do. 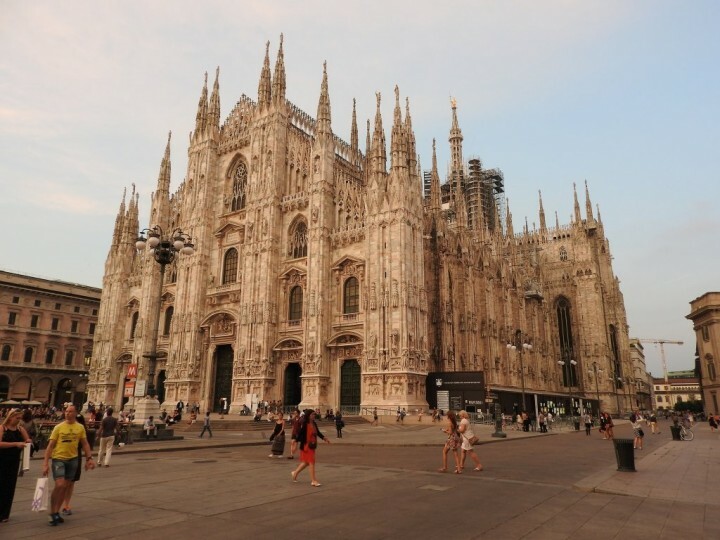 It is considered to be the most expensive chapel in the world primarily because of the fact that it is made up of gold. Visitors and tourists in Lisbon, Portugal should not miss the chance to see this chapel during their trip. It is one of the chapels located within Church of Saint Roch. 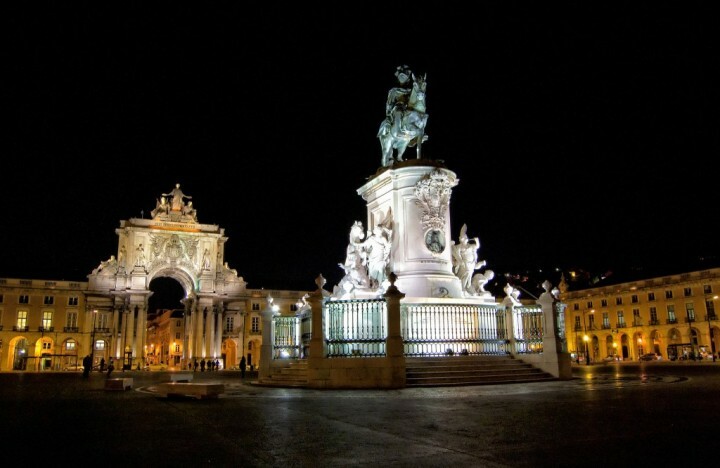 If you want to experience the real Portuguese atmosphere, then go to Praça do Comércio. 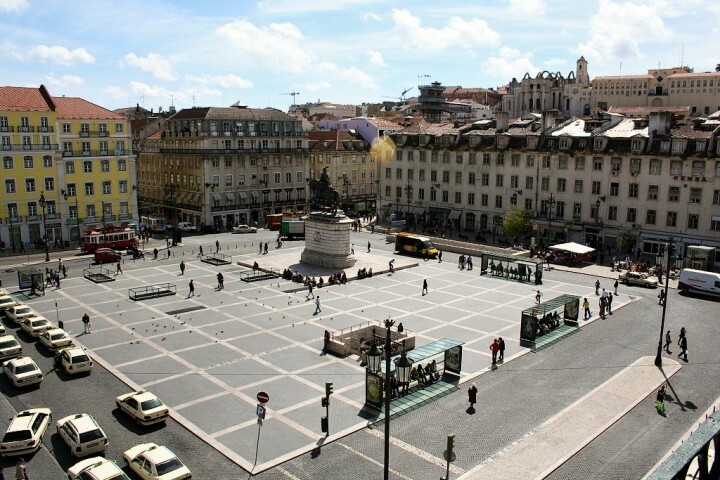 This bustling square is located in the center of Lisbon. 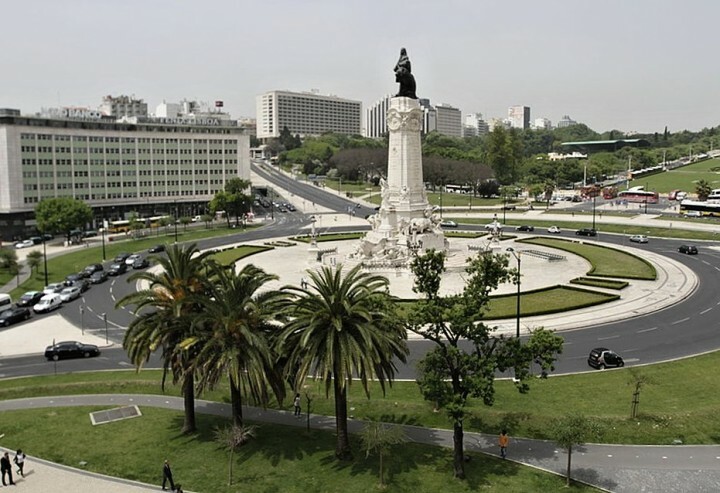 It is also called Commerce Square or Palace Square (Terreiro do Paço in Portuguese). It is one of the biggest and most beautiful squares in Lisbon. It has an interesting location and is bordered by three identical houses of three floors. Stylish houses are equipped with arcades and small balconies. The southern side of the square is bordered by a wide riverbed Tejo. 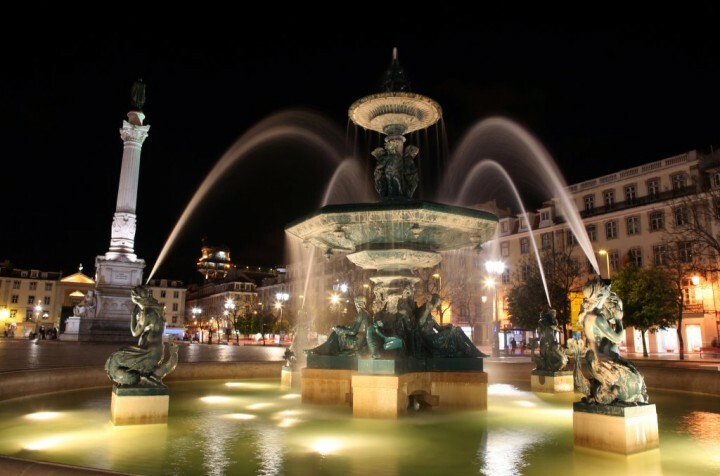 The center of Lisbon is a home to another square Praça de D. Pedro IV which is here known mainly as Praça do Rossio. 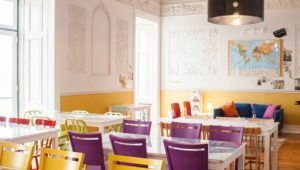 It is lined with many important buildings and cafes, where you can enjoy genuine Portuguese Galão, ie coffee with foamed milk or traditional dessert Bola de nata. If you are coming to Lisbon by train, you will be welcomed by a monumental building of Rossio Station right away, which is located on this square as well. Rua Augusta is amazing pedestrian street that connects two squares that I have mentioned above – Rossio and Comércio. 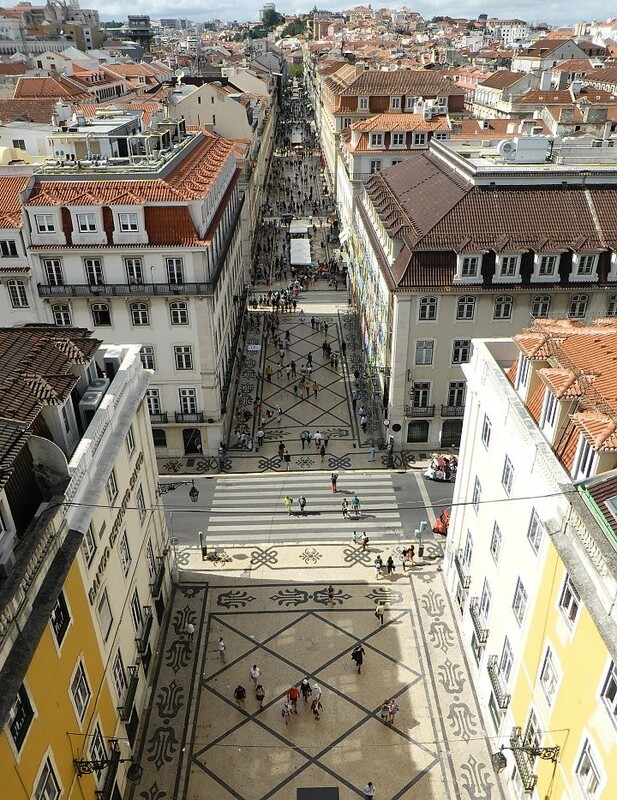 It is one of the most popular and crowded streets of Lisbon. The street begins at the monumental Rua Augusta Arch. Since 2013 it is open to public so if you want to enjoy some more great views of Lisbon, visit this arch. Alfama is a part of Lisbon, situated to the east of the city center. Its twisting alleys act like you’re somewhere in the Greek village. 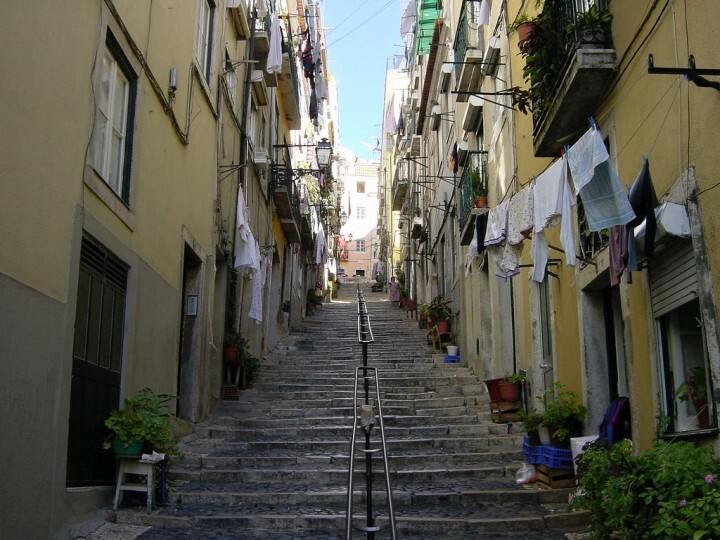 Stroll the narrow streets that are full of stairs and laundry drying at the windows. There is a plenty of bistros and restaurants all around, so do not forget to stop by and rest here for a while. 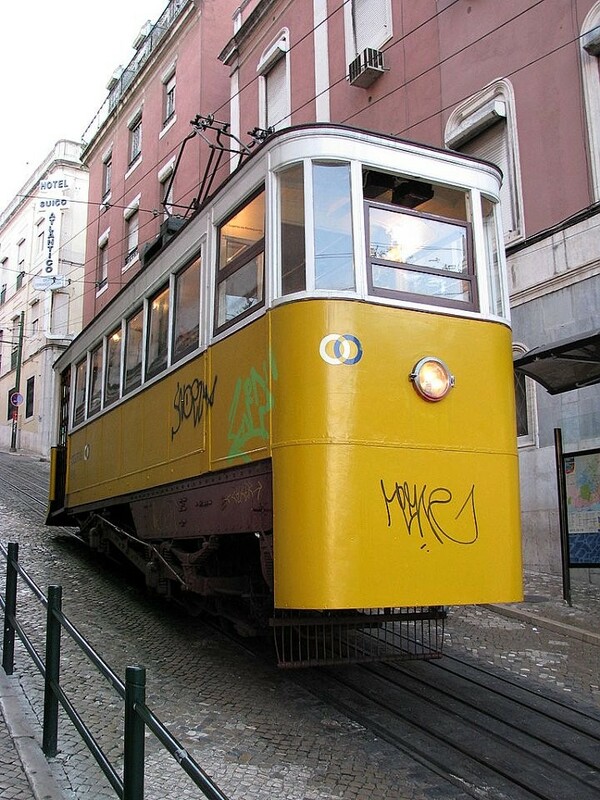 Tram 28 is definitely one of Lisbon’s classics, which everyone had already heard about. But until you don’t get in, your visit to the Portuguese capital will never be completed. Elevador means elevator in Portuguese. But this one is not just any common elevator you can see. 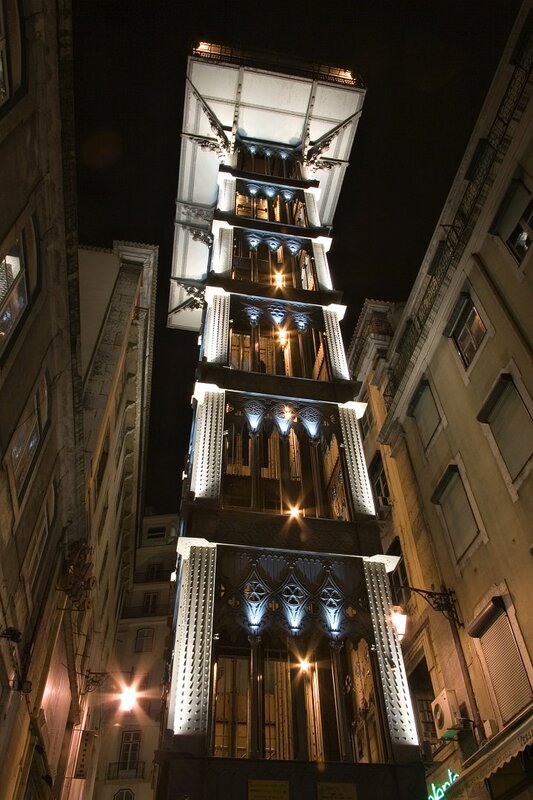 Elevador de Santa Justa is the one that takes you from Baixa district to another district of Bairro Alto. It has two cabins that can accommodate up to 25 people each. Above the engine room there is a small terrace, from where you can enjoy great views of the city. 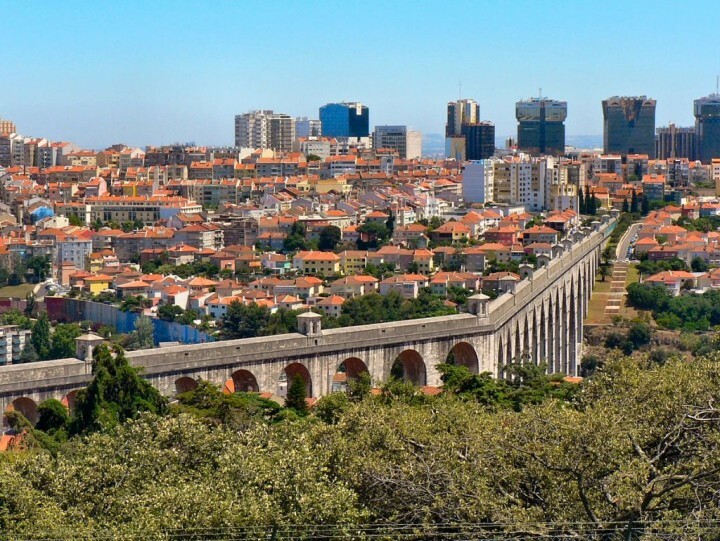 Aqueduto das Águas Livres is a giant aqueduct spreading across the Alcantara valley. 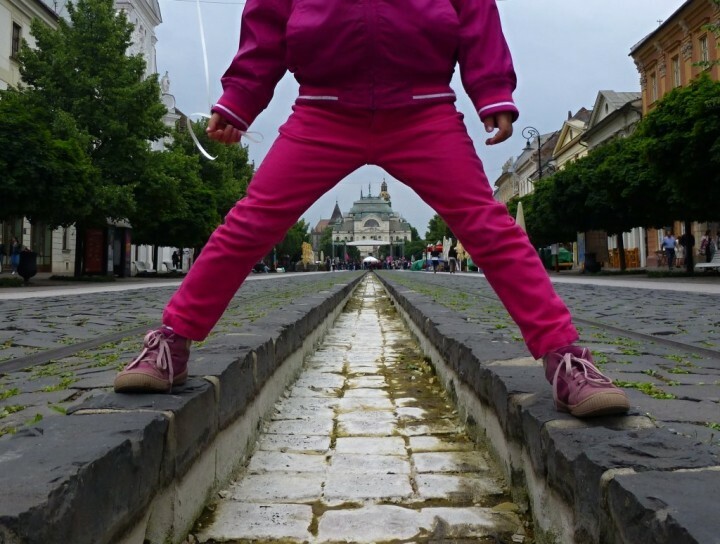 It is 941 meters long and dates back to 1744, when it was a part of a sophisticated system of channels. 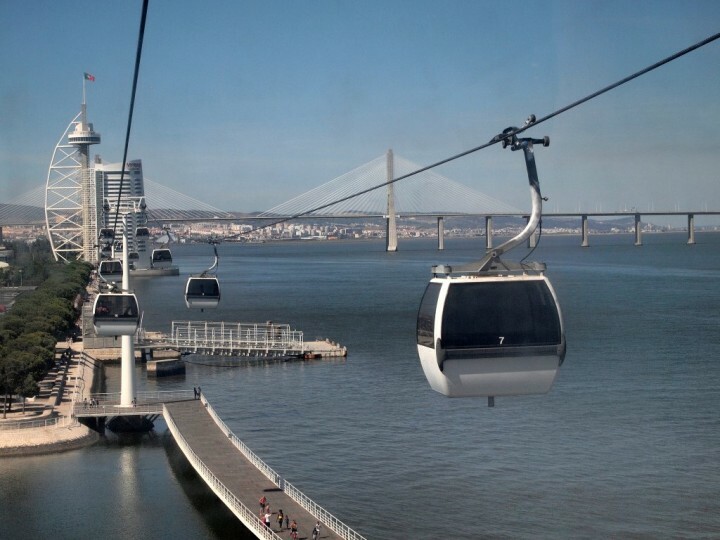 At that time it transferred water to Lisbon and was 58 kilometers long and now is open for guided tours from 1 March to 30 November. 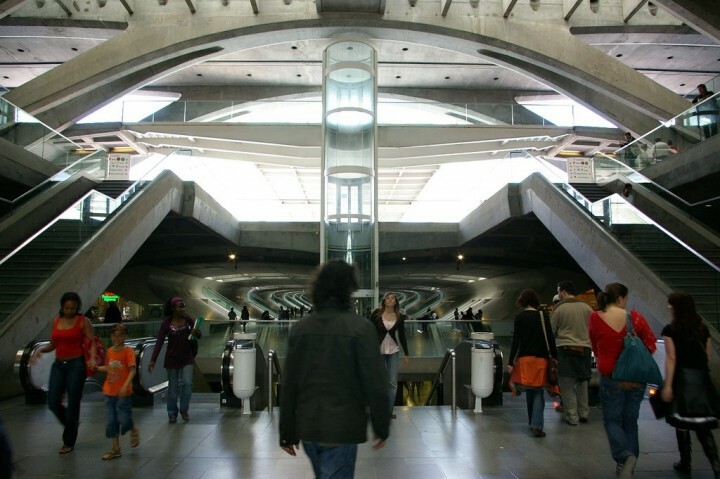 Lisbon Metro will amaze you with its grandeur. Huge stations, looking like underground temples is something you should not avoid. Everything is extremely clean here, well-arranged and everywhere (even in tunnels!) you have a mobile signal and 3G data! Elevador da Glória is another mode of transport that you must try. It is a historic funicular that was opened in 1885 and is 265 meters long. Its cabins can be seen perhaps on any postcard from Lisbon, so why not to take your own? Still looking for some more places offering great views of Lisbon? Then Miradouro de São Pedro de Alcântara is here waiting for you to visit. It’s easy, just get off the Elevador da Glória and you are already here! It is amazing during the day as well as during the night! It is nice place with green spaces, statues and fountain. 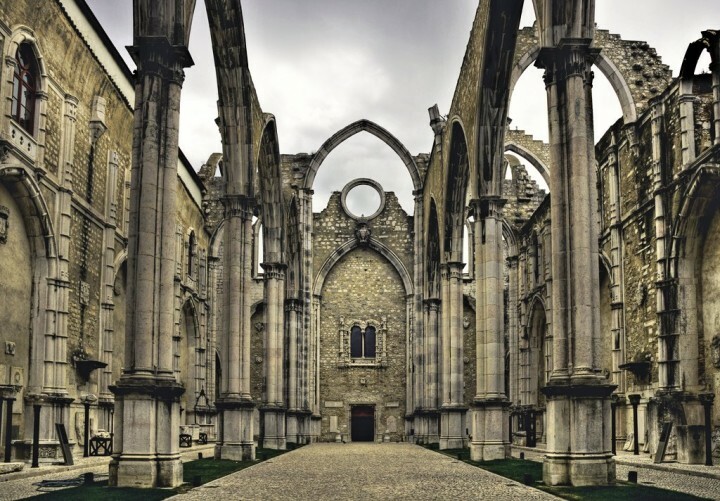 Carmo Convent is the ruined monumental Carmelite monastery located in the center of Lisbon, at Largo do Carmo square. The monastery is located on a slope above the famous Rossio Square. This monastery was destroyed by a great earthquake in 1755 and now you can visit Archaeological Carmo Museum that was established here. 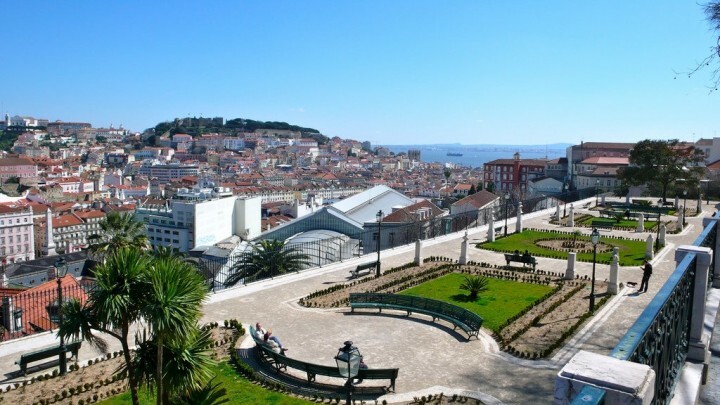 Once called Liberty Park, Eduardo VII Park can be found at the Marquis of Pombal Square and offers unique views of Lisbon and its port. Lots of concerts, festivals and other events in Lisbon take place here. The park includes Sport Pavilion, lakes, green areas, amazing greenhouse and other attractions. In the middle of this square is a tall statue of marquis of Pombal, who was one of the most important people in Lisbon after Great Earthquake in 1755. 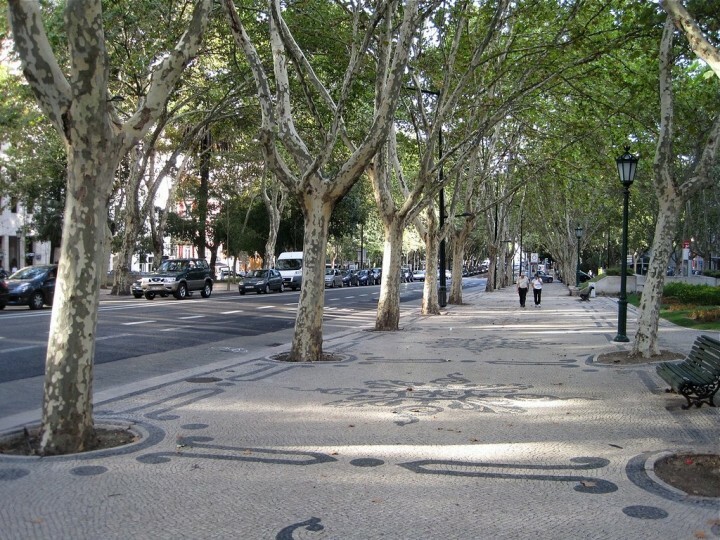 Liberty Avenue is a long boulevard, a street that connects Pombal Square with old town of Lisbon. It is dotted with some of the best hotels, restaurants, pubs, shops and lined with trees on its both sides. It is one of the busiest streets in all of Lisbon, and thanks to one of the most important road that leads through it, it is also one of the most noisy places in the city. 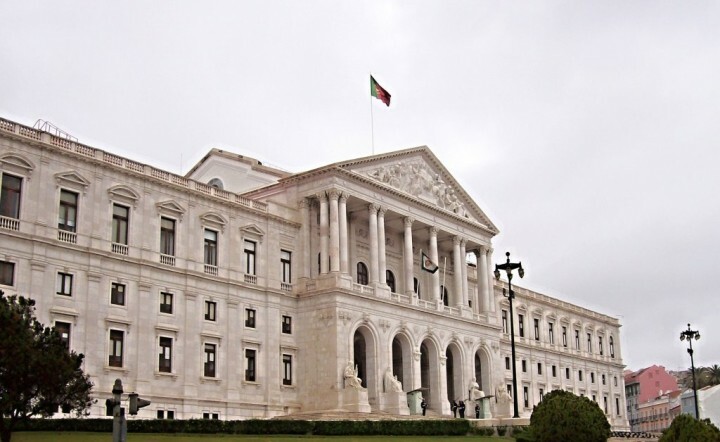 Belém Palace is the official seat of Portuguese president since 1910, although it was built already in 1559. You can visit it only on Saturday, when it is open to the public. 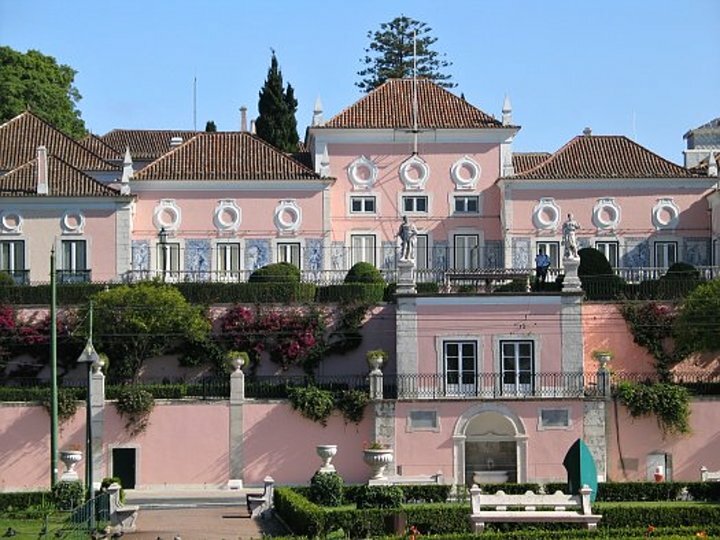 If you are visiting Lisbon during the week, then you can only enter the adjacent Museum of the Presidency of the Republic. São Bento Palace is where the Portuguese Parliament is located, a former monastery later transformed into Parliament Palace. 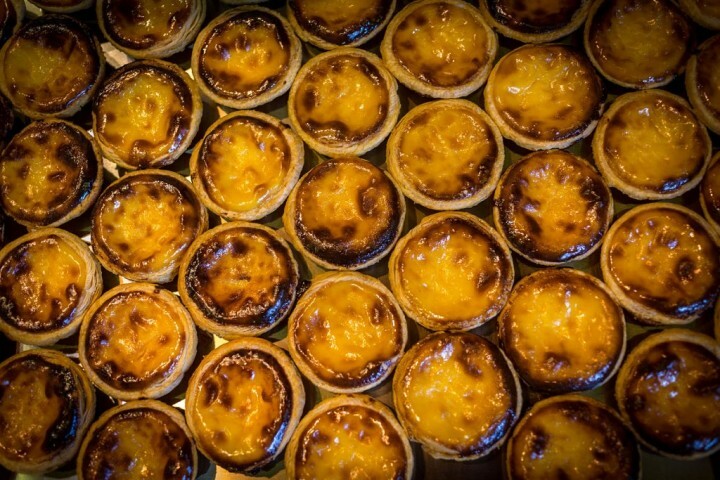 Have you already been to Lisbon, but haven’t try Pastel de nata? What a mistake it was, your tour is not complete and you have to come to Lisbon once again (what a great news! :)). There is a factory in Lisbon where all this started, more precisely it is in Belem district. And once here try them as many as you can eat. They are really delicious. Restorer’s Square bears its name after the rebels, who restored Portuguese independence from Spain in 1640. In the middle of it you can see an obelisk that commemorates this event. 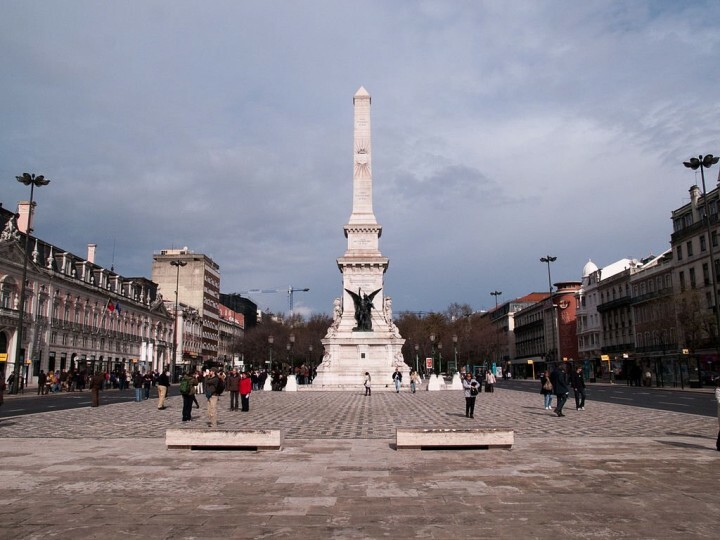 Praça da Figueira is the large square you surely cannot miss while strolling Lisbon city center. It is next to Rossio square and once it was a place of large hospital. However hospital was damaged later by Great Earthquake and then this square was established here. In its middle there is a bronze equestrian statue of King John I.
Lisbon is proud for its largest aquarium in Europe that you can see in Oceanarium, in the Parque das Nações. This is a public aquarium and research institution that will show you the best secrets of the underwater world. 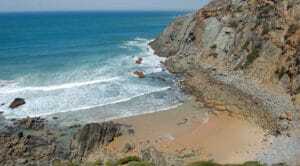 It is the most visited attraction throughout Portugal. Lisbon Oceanarium has a large collection of marine species from birds over mammals, fish and other marine animals. 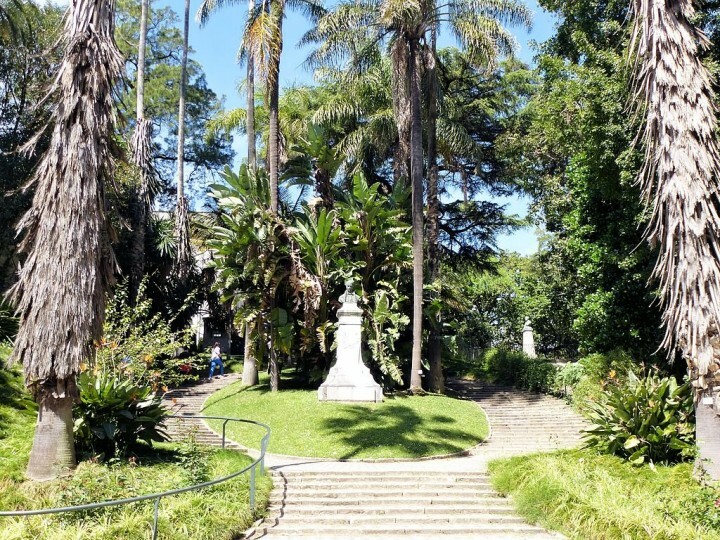 Lisbon is also home to the oldest Botanical Gardens in Portugal. In addition to its flowers and old trees, Botanical Gardens offer some more great views of Lisbon. If you want to see some piece of nature within the city’s boundaries, then Botanical Gardens is the best place to do so. 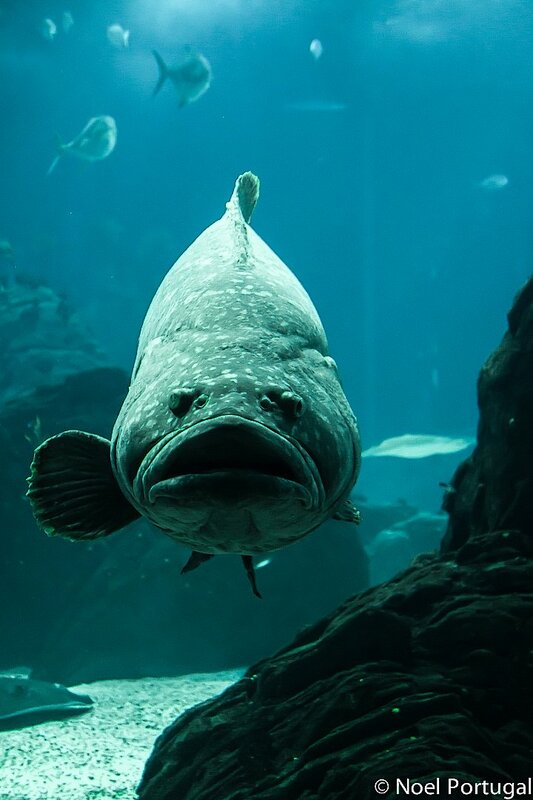 After visiting the largest aquarium in the world (Oceanarium) and still want to see some more animals, why not to visit Lisbon Zoological garden? 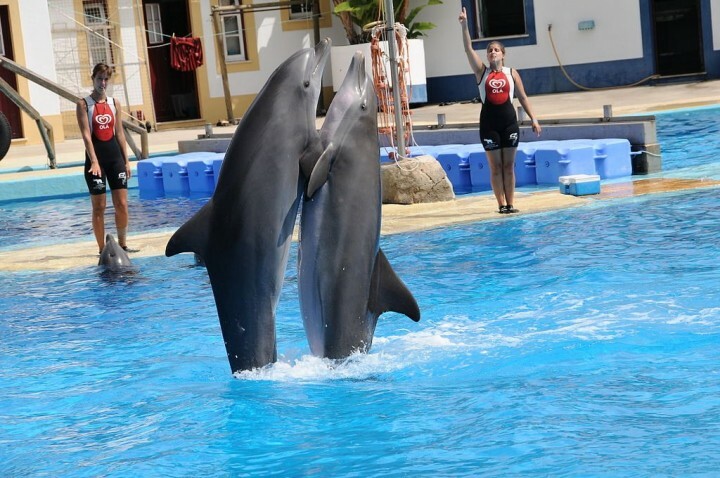 It is not large, but offers some of the best zoological exhibitions in the world, including dolphins shows. Best Museums to visit in Lisbon? 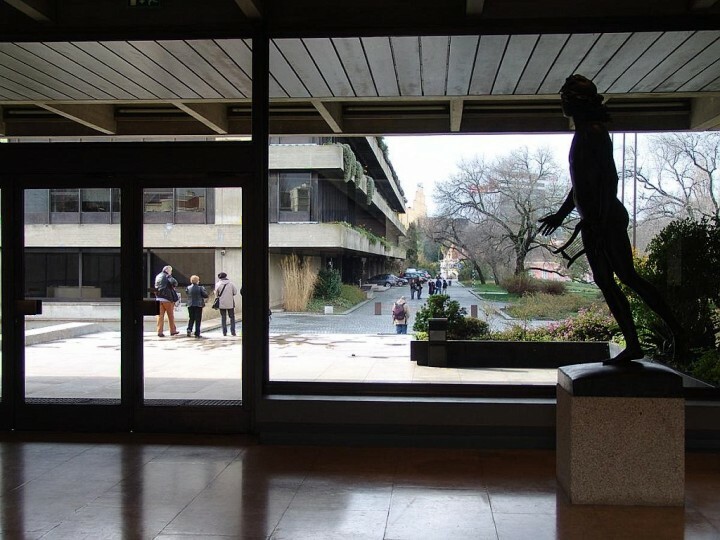 Calouste Gulbenkian Museum is a museum of private collection from both Eastern and Western Cultures. What is good about this is that it is also opened to the public for them to see the best of the private collections. There are lots of masterpieces that are featured in this museum which makes it a good place to visit when you are in Lisbon. 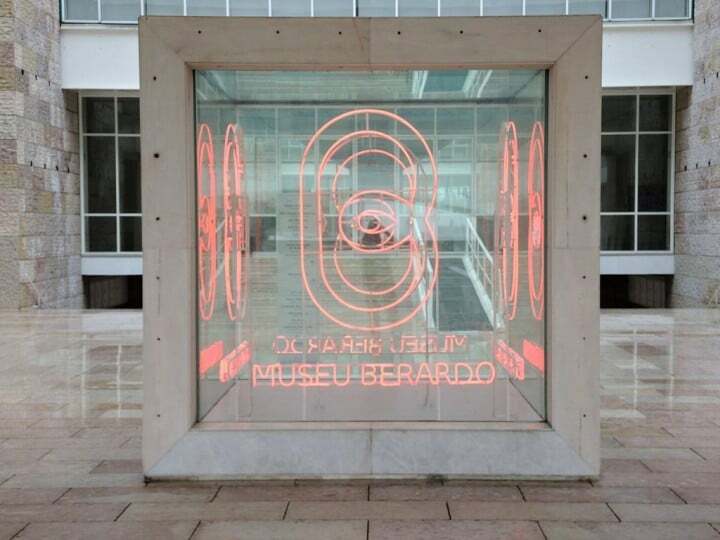 If you are fan of European Arts, then you would appreciate the effort of a millionaire to put together and collect the best of European art pieces and out them in a museum, known as the Berardo Collection Museum. 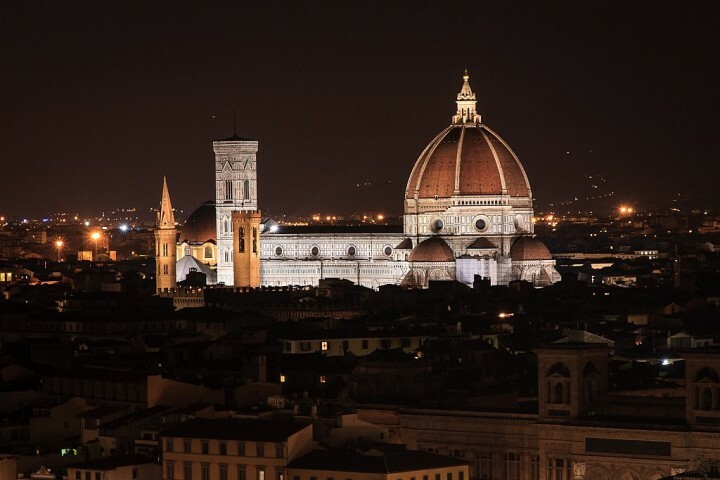 Be astonished by the works of Picasso, Andy Warhol and many more. 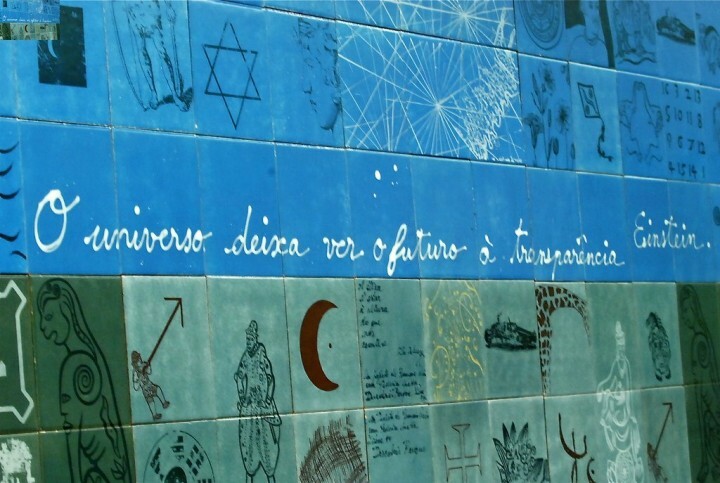 National Azulejo Museum also known as Tile Museum is located in former Convent of Madre Deus and depicts ancient arts. It is the place where one can see the type of art that has made during the time when it was still a convent. It is mainly made of ceramic tiles and according to visitors; their visit to this place is indeed worth it. 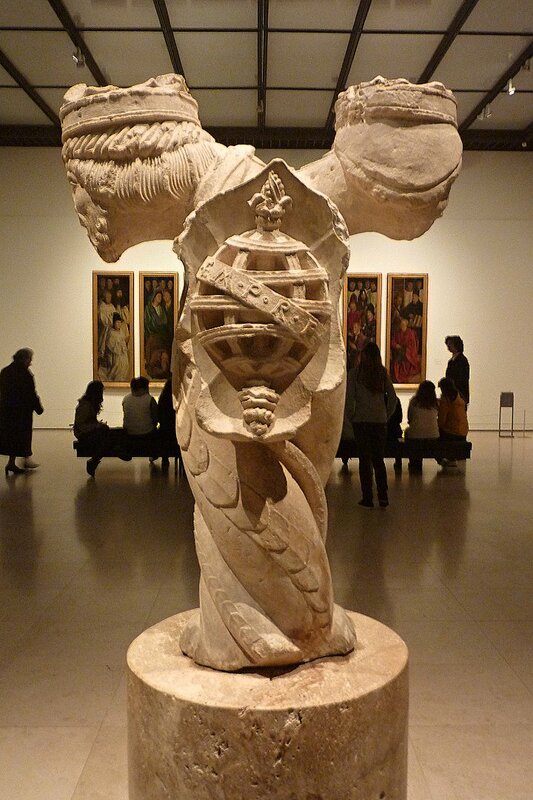 If you crave for old form of arts, then the Ancient Art Museum of Lisbon is the perfect place to go to. It features a wide collection of art pieces made during the ancient times which reveals a lot about the history of Lisbon and the rich ancient culture it had. 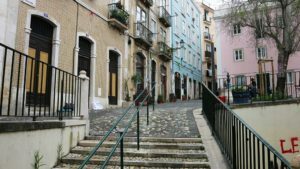 Visiting this place can turn out to be one of the most educational and rewarding visits you will do in Lisbon. 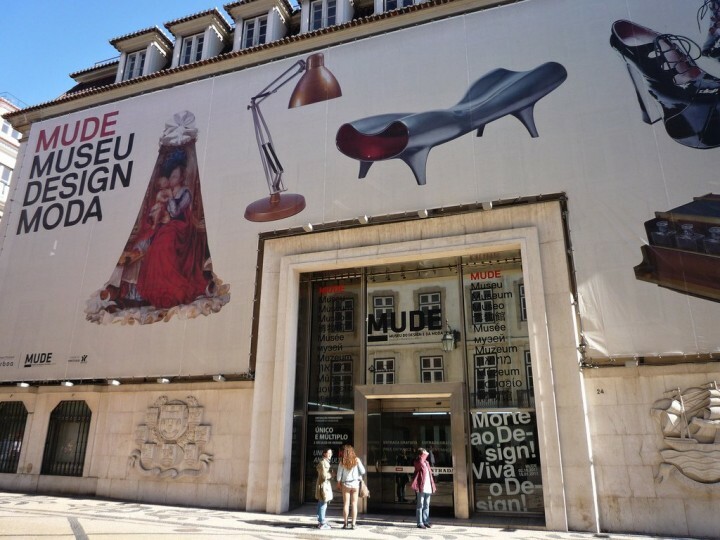 If fashion is your thing, then you should also visit the Design and Fashion Museum in Lisbon where you can find a lot of designer clothes and different fashion-related things on display. You will be surprised of the different fashion trends that may be revealed to you during your visit here. How to get to Lisbon ? To get to Lisbon, you can search on our partner’s website Skyscanner. 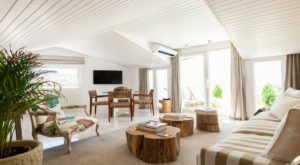 Where to stay in Lisbon ? There is no shortage of accommodation to choose from when staying in Lisbon. To find a cheap hotel in Lisbon, search on this hotel comparator. These were the Top Places to see in Lisbon. I definitely forgot to add your favorite place here on this list. If so, please let me know below in the comments! We visited Lisbon a few years back and absolutely fell in love, such a great and beautiful city.